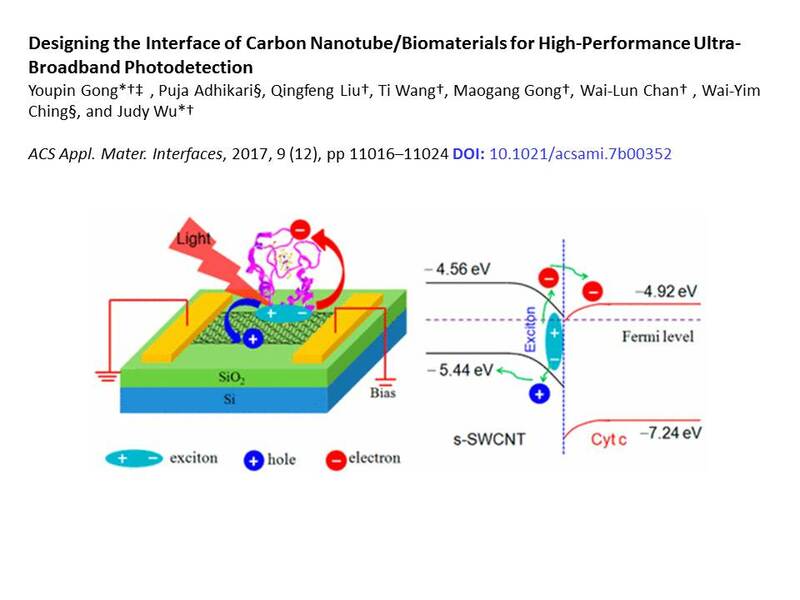 Inorganic/biomolecule nanohybrids can combine superior electronic and optical properties of inorganic nanostructures and biomolecules for optoelectronics with performance far surpassing that achievable in conventional materials. The key toward a high-performance inorganic/biomolecule nanohybrid is to design their interface based on the electronic structures of the constituents. A major challenge is the lack of knowledge of most biomolecules due to their complex structures and composition. Here, we first calculated the electronic structure and optical properties of one of the cytochrome c (Cyt c) macromolecules (PDB ID: 1HRC) using ab initio OLCAO method, which was followed by experimental confirmation using ultraviolet photoemission spectroscopy. For the first time, the highest occupied molecular orbital and lowest unoccupied molecular orbital energy levels of Cyt c, a well-known electron transport chain in biological systems, were obtained. On the basis of the result, pairing the Cyt c with semiconductor single-wall carbon nanotubes (s-SWCNT) was predicted to have a favorable band alignment and built-in electrical field for exciton dissociation and charge transfer across the s-SWCNT/Cyt c heterojunction interface. Excitingly, photodetectors based on the s-SWCNT/Cyt c heterojunction nanohybrids demonstrated extraordinary ultra-broadband (visible light to infrared) responsivity (46–188 A W–1) and figure-of-merit detectivity D* (1–6 × 1010 cm Hz1/2 W–1). Moreover, these devices can be fabricated on transparent flexible substrates by a low-lost nonvacuum method and are stable in air. These results suggest that the s-SWCNT/biomolecule nanohybrids may be promising for the development of CNT-based ultra-broadband photodetectors.